So i've been talking a lot in the last few days about bus versus train. And it will be a common theme on this blog but i think that it needs to be balanced as well. But lately I've had an exciting thought running through my head that should be mentioned and from now on will be on the sidebar of this blog...The Transit Space Race. The Transit Space Race is an idea i came up with after seeing all these cities trying to one up each other in terms of funding larger fixed guideway expansions to attract new jobs and the young talented professionals and thinkers that make up the creative class. The idea of the space race fills me with excitement because so much technology and innovation came from that time period. It's hard not to get excited if you are an urban planner about the coming rail expansions around the country. And while the forces that be try to keep building roads and keep the American Taxpayer buying oil and automobiles, there is a silent majority rising up and leading the way to a more sustainable United States. If compared to a volcano, this movement has been bubbling under the surface ever since ISTEA was passed in 1992. Every since then new rail lines have been popping up around the country. The success of these initial lines bred confidence that many cities could build these expansions to increase ridership and enhance livability in many cities around the country that were starting to become cool and hip. The eruption came however in November of 2004 when the Denver Region passed the Fastracks Ballot Measure authorizing 119 new miles of rail line and $4.7 Billion dollar investment in the regions infrastructure. Since this watershed event, many cities around the country are starting to think about how to fund these expansions to essentially keep up with the Jonses. Salt Lake City just passed a ballot measure that raised money for 4 Trax expansions and a commuter rail line. Charlotte passed a half cent sales tax in 1998 and is looking to build 4 lines and a streetcar in addition to the South Corridor which is under construction now. Seattle has grand expansion plans for 40+ miles in addition to the construction underway now. Some cities are feeling a bit left out. Tampa's leaders are worried they will be left behind while cities like Minneapolis have newspaper editorials begging to let them into the race. Other cities are building new lines but have no grand plans for expansion...until they get their acts together, they will be falling behind. So to say the least this is exciting. If congress can create a way to get under this exploding national expansion and make these dreams possible for more cities in this new century, then perhaps we will have a program as great as the Federal Highway program of the 50s. We'll call this our do-over and this time we'll get it right. Let's shoot for the moon. So from now on there will be a sidebar on the blog listing cities in the race and cities who wish they were in the race (planning for lines or talking extensively about expansion of major systems) This list will not include the big 5 of NYC, Boston, Chicago, Philly and San Francisco (Pantograph's Home) but rather cities rapidly expanding their transit systems. Washington, Portland and Los Angeles have a head start, but so did the Russian's with Sputnik. So each time a city moves into another category you will know. Perhaps also in the future I'll do a detailed explanation into why i think each city is in the race. So without further ado...Let the Race Begin! If there are any I'm missing let me know. Maybe you could add Baltimore to the hopefuls list. The local (state-run) transit authority is slowly, timidly, but steadily working through the planning and funding stages of a second light rail line and a modest extension of our one heavy rail starter line. Right now they're selecting rights-of-way and station sites with a lot of public meetings and comment, although with LRT/HRT as the locally-preferred alternative(s), the New Starts people trying to push BRT, and some semi-NIMBYs who want the line underground instead of on the street, the MTA is essentially planning contingencies for every mode until they can get one approved. 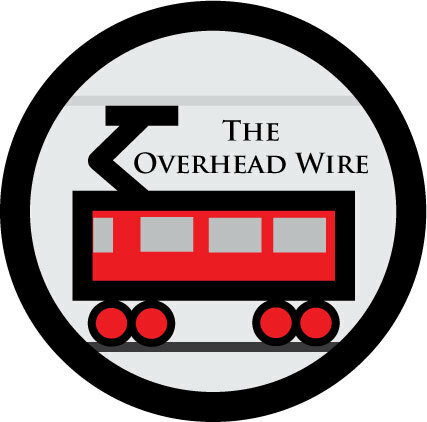 The New Starts reviewers said LRT wouldn't meet the minimum standard under their economic benefit formulas, but the state hasn't given rolled over and rejected LRT and the local council of governments announced recently that $340 mil in transportation capital funding will be dedicated entirely to transit, with the Red Line and commuter rail upgrades both mentioned as possible recipients. In short, nothing's really certain but things are somehow moving anyway, which is normal for Baltimore. Check out the newsfeed at http://beyonddc.com for articles on the c.o.g. announcement and the Red Line, and http://www.baltimoreredline.com/pages/brrsp.html for the Rail Plan itself. Why is LA still in the Transit Space Race category as if it just started building its transport system. Since 1990 the county has built 73 miles of an impressive mix of Heavy and Light Rail lines as well as a 400+ mile commuter rail (Metrolink) system. Also its bus service of locals, rapids, express and so on is truly second to none and I'm a former NYer. You can't sneeze at the systems ridership either. I personally think that you should take LA out of the Transit Space race and put it in with the other ordained transit cities though it is still developing its system. And now with the passage of Measure R that would possibly expand the system by another 50 to 60 miles (including commuter tracks) would make it as large as the CTA/Septa system and larger than the current BART/Muni system. Also along with the passage of Prop1A it will be connected with the rest of the state via HSR, even Chicago and NYC can't lay claim to that. So what is the holdup with ushering LA into the coveted transit city eschelon? I think you need to revise your "big 5" slightly. I suggest you use SFBay+Capitol instead of "San Francisco". This would reflect the connectivity between metro SF, metro SJ, and metro Sacramento.